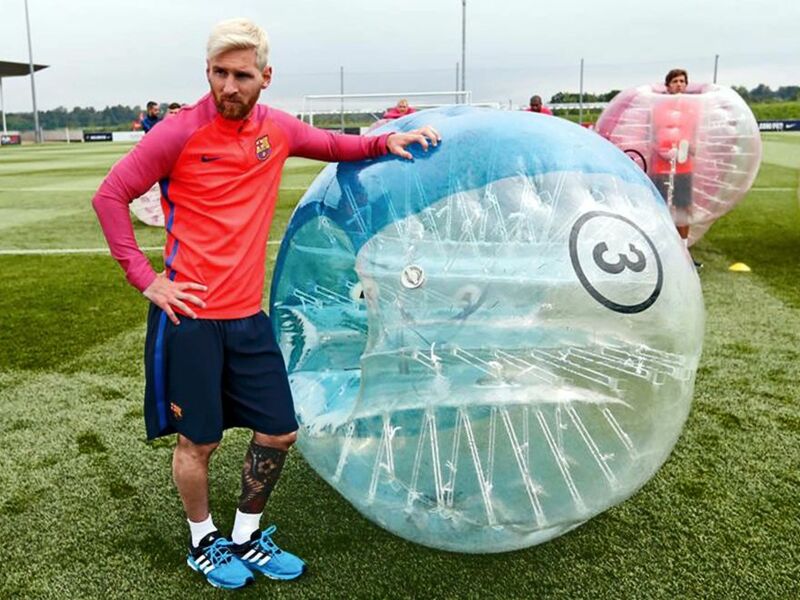 Enter the world that is crazy carnage football with incredibly popular and totally hilarious bubble football for groups that’s available across the whole of the UK! 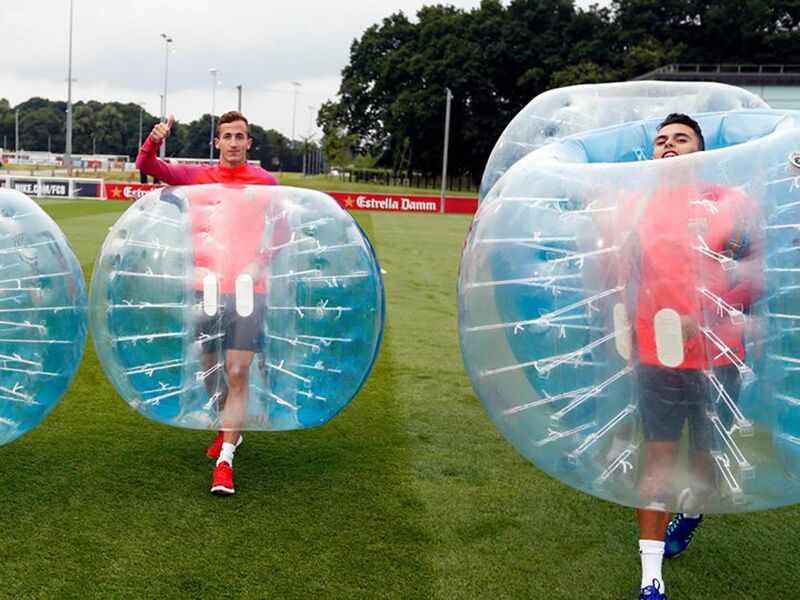 Bubble football has been a favourite of groups everywhere and it offers so much more than an ordinary football experience - which is exactly why everybody loves it! Perfect for stag do's, sport clubs and general events. 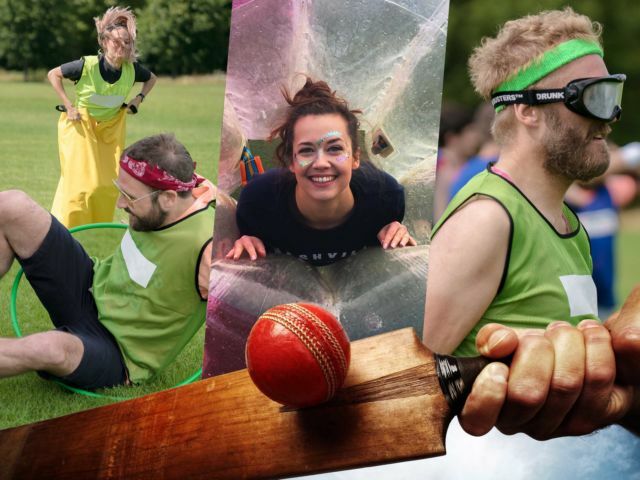 So we bet you’re wondering what makes this activity so unique, well as the name so playfully suggests, it’s the well-loved sport but with a hilarious twist you can’t get your head around! 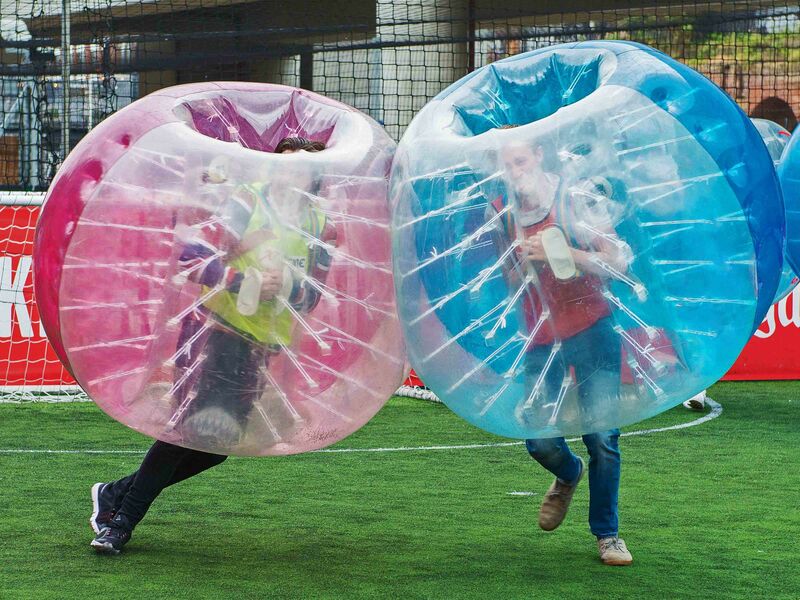 You’ll be wearing huge inflatable bubble suits which will make matters even more fun and believe us when we say it is way funnier than it sounds and it already sounds funny enough! Bash, crash and roll your way around the pitch in one epic game of football that none of your group will forget, filled with banter and hysterical laughter. It may sound crazy, but isn’t crazy what you would want to include in an activity to remember? What can possibly be more fun than playing a game of football while looking like giant footballs yourselves running around the pitch. 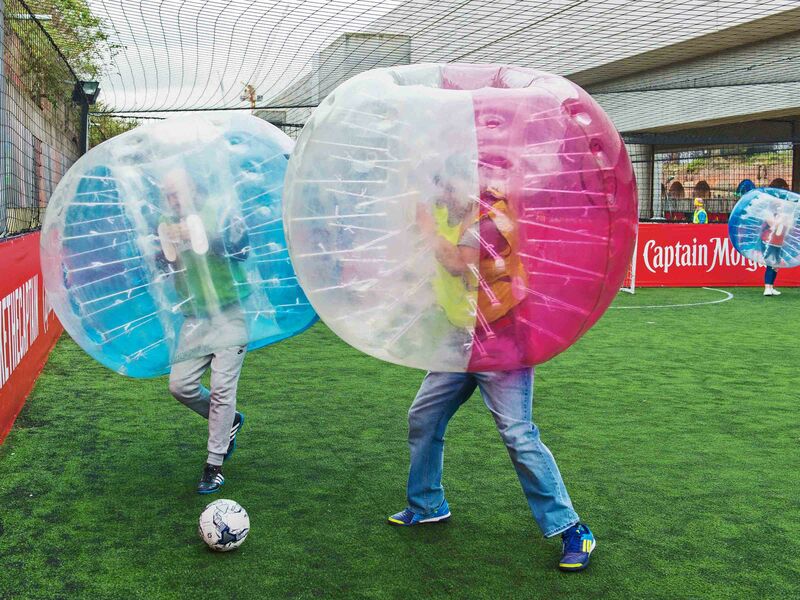 With endless laughs expected to fill the air, you won’t want to play football the traditional way ever again! With 1 entire hour of wacky football playing, there’s more time for you to be having fun and less time you are getting stressed with all the organising and venue hire left to us to sort out. 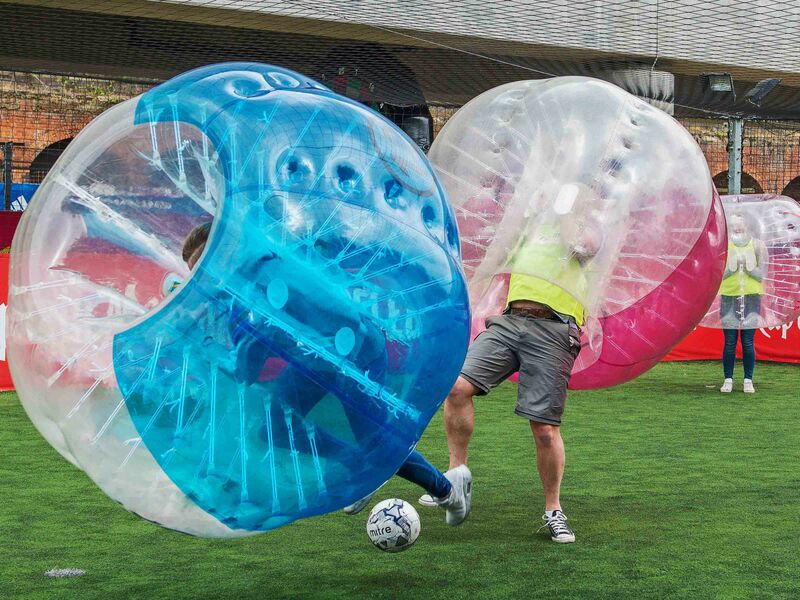 Bounce, shove and stumble as you attempt to score in our incredibly popular and hilarious bubble football and make some unforgettable moments to be remembered for a lifetime. You want to have an activity that is like no other and it doesn’t get any more unusual than this, trust us! And the best thing about it is all you have to remember is to bring your group along and prepare yourselves to be bubble wrapped in an hour like no other!